One of the great Sarawakian dish that we have been on the look out for, is the Pansoh. 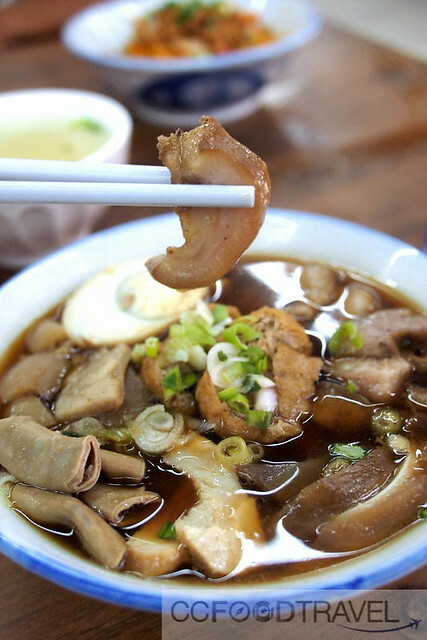 Pansoh or Pansuh just means, ‘cooked in a bamboo’ and the meats employed can range from chicken, fish, pork to more exotic meats such as deer & wild boar. 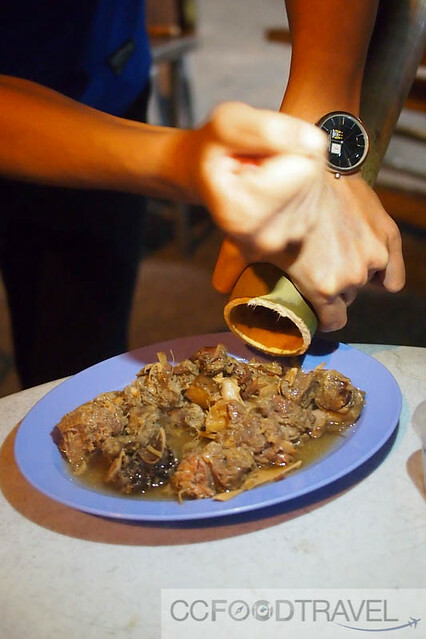 And fortunately for these two foodies, we had the pleasure of stumbling upon this one particular dish, the Pansoh Jani Kampung, or BBQ Bamboo Wild Boar. Imagine diced wild boar pieces cooked in ginger, lemongrass, garlic, onions, stuffed into bamboos and cooked over an open fire. The BBQing of the bamboo, seals in the flavour and the result is succulent and juicy fragrant wild boar, with gravy hinting of lemongrass, pepper, spice and bamboo. We actually initially visited this coffee shop during lunch time, and we met Sam, a Sarawakian cook manning the Kwey Chap shop at Restoran Permata Maju. His food was superb – the gravy of the Kwey chap was thick, sweet and herbacous – really addictive, good quality stuff. Sam was the one who told us about the evening Pansoh BBQ and that’s why we returned to sample this unique Sarawakian fare on another night. 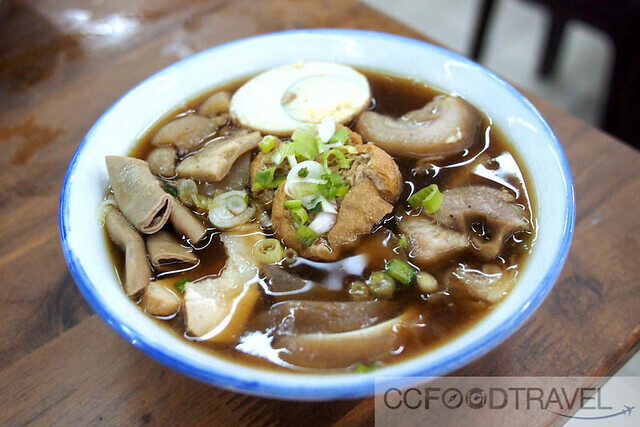 This restaurant also offers other Sarawakian staples such as the kolo mee. Not the best we have tried but apparently the cook was not there that day, hence the lack-luster quality. We were told it’s actually pretty good. That was when we met Kennedy & Fidelia, the lovely Iban couple who ran the Pansoh BBQ in the evenings. This husband and wife team turned out to be rather good cooks. Pansuh is a famous dish, of the Iban as well as of the Dayak people, cooked in the jungle when they were done hunting. It was said that the Head Hunter Warriors would spend a period of time out in the wood to hunt. In the Jungle they use bamboo to cook all their dishes. They cook their food including chicken, fish, wild boar, and even rice in bamboo. 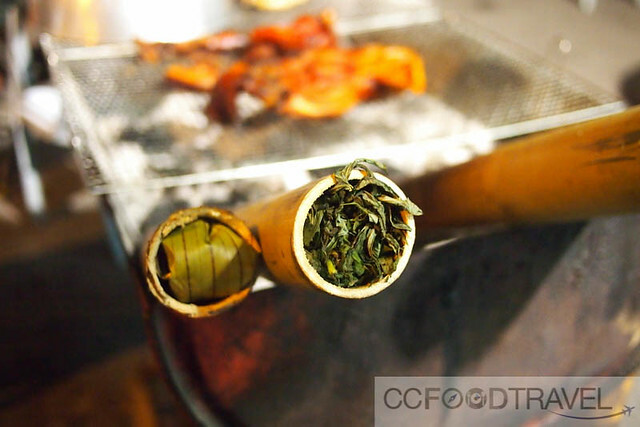 The uniqueness of using the bamboo stem to cook is that the bamboo will give a special aroma and texture to the food. 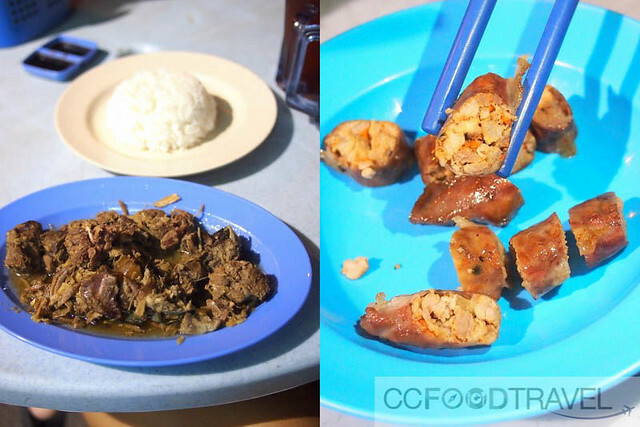 Another must try is the Perut Jani – Sausage made from minced boar with carrots, sarawak pepper, herbs stuffed into the pig stomach. Apparently Fidelia is the cook who prepares the dishes and Kennedy does the BBQing. Pansoh Jani Kampung, or BBQ Bamboo Wild Boar – diced wild boar pieces cooked in ginger, lemongrass, garlic, onions, stuffed into bamboos and cooked over an open fire. 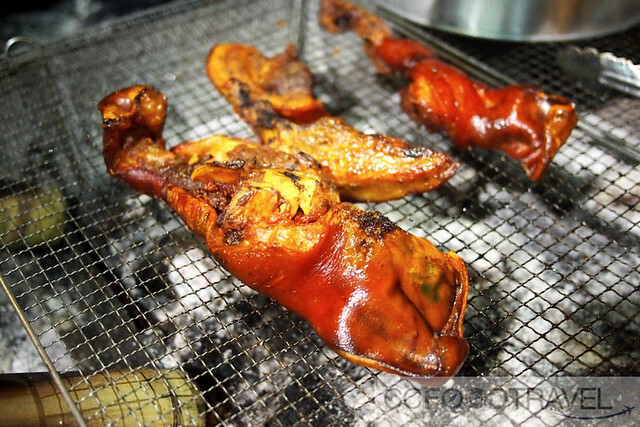 The BBQing of the bamboo, seals in the flavour and the result is succulent and juicy fragrant wild boar, with gravy hinting of lemongrass, pepper, spice and bamboo. Loved the carrot bits that added texture to the sausages. This is a must order! 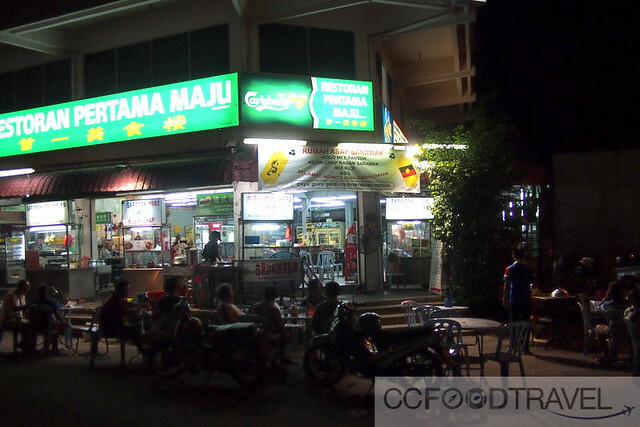 Apart from this particular restaurant, we noticed that the entire Taman Cheras Permata area is studded with Sarawak food stalls in various coffee shops. And so, it’s with much glee, we have accepted the unwritten foodie challenge of exploring as many of them as we can. Stay tuned for more updates! Oh my!!! 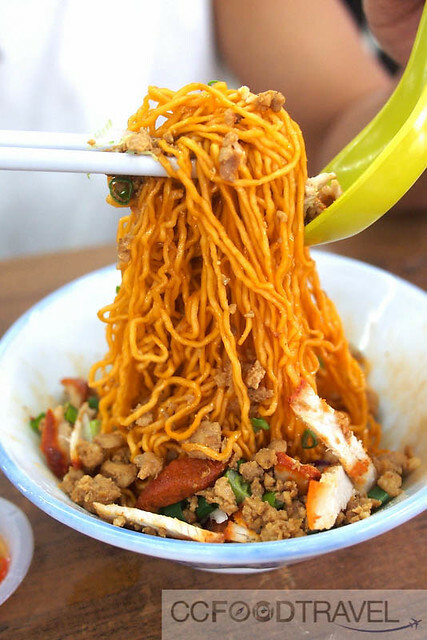 Kolo mee! Did not get to eat that when I was in Kuching that day, kueh chap yes – yesterday’s post…but this one looks a whole lot better. Pansuh, available at a few places in Kuching…none in Sibu but I hear of one just a couple of days ago, will check it out soon. 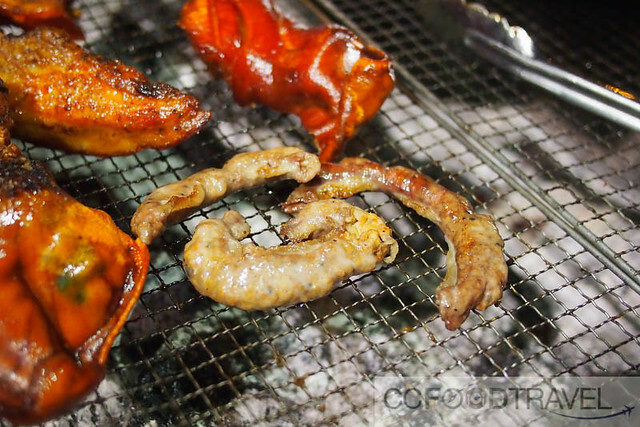 I love pansuh…be it chicken, pork or fish/prawns, all nice. cool! looking fw to your pansuh posts then.. we do hope to visit Sibu one day soon! chewy.. and flavourful. the carrot bits were delicious! 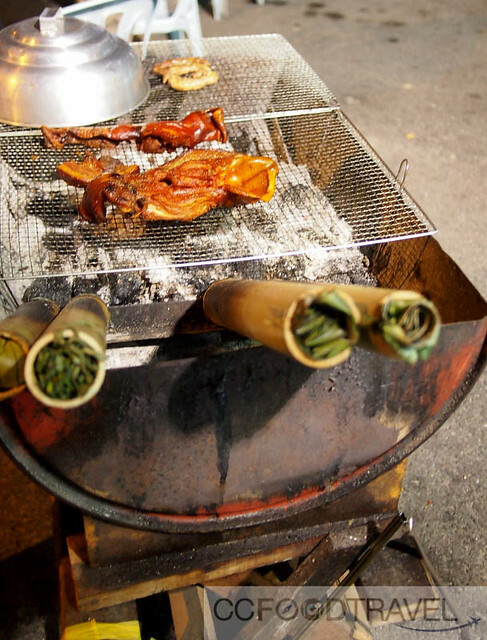 I can imagine just how delicious the food will be cooked in bambo…like lemang! Wasn’t aware that Taman Cheras Pertama was filled with Sarawak food stalls…look forward to your updates. haha.. will keep them coming! does the evening bbq open daily?